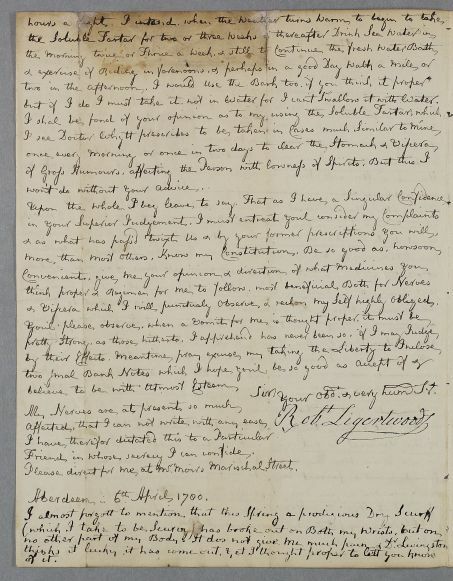 Letter from Robert Ligertwood concerning his own case. 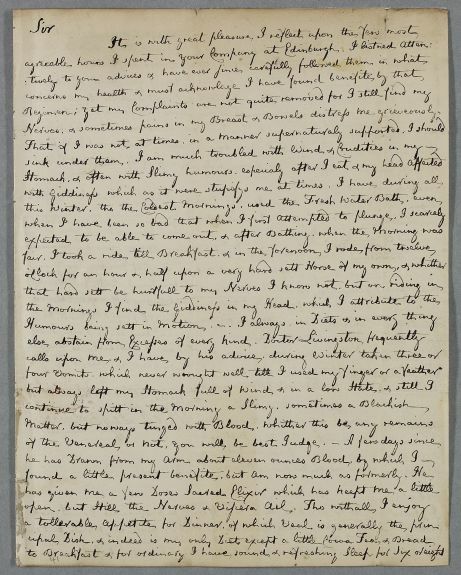 Summary Letter from Robert Ligertwood concerning his own case. but if I do I must take it not in Water for I cant Swallow it with Water. won't do without your advice. & Viscera which I will punctually observe & reckon my Self obliged. affected, that I can not write with any ease. Friend, in whose secrecy I can confide. 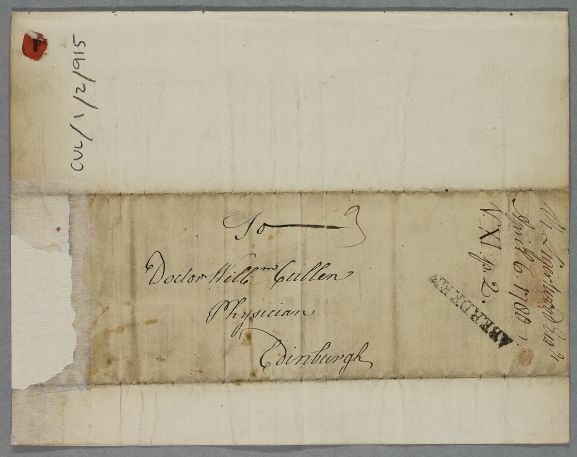 Please direct for me at Mr. Moirs Marischal Street. Sir your Obdt. & very hum St.